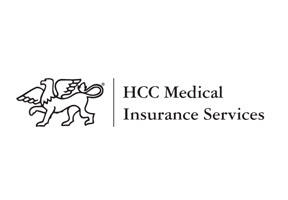 HCC Medical Insurance Services (previously MultiNational Underwriters) is an international health insurance company based in the United States with the goal of providing superior medical insurance products to individuals, families, groups, and corporations all over the world. Originally founded in 1998 under the banner of MultiNational Underwriters or MNU, the company was acquired in early 2008 by HCC Insurance Holdings Ltd. and took on the name HCC Medical Insurance Services. By offering comprehensive and flexible health and life insurance plans to customers in over 130 countries around the world, HCC Medical Insurance Services (MNU) has quickly risen to prominence in the global health cover industry. As an industry innovator, HCC Medical Insurance Services (MNU), was the first international health insurance company to make its products and services available online. The company has developed its plans to meet the exacting requirements of expatriates living overseas. By providing effective solutions to a number of common problems and issues based on customer feedback and input, HCC Medical Insurance Services has shown that it is able to be flexible and adaptable with the plans it offers. HCC Medical Insurance Services base their customer service on traditional values of excellence. They understand that the insurance world can be a confusing place, and so are committed to providing experienced, easy-to-understand global health cover to help you meet your healthcare needs. HCC Medical Insurance Services (MNU) is available 24 hours a day, 365 days a year to help you receive the best medical treatment available. This company has access to healthcare specialists located all over the world, so no matter where you may be located, you can be certain of the help that you and your loved ones deserve. "I am a visiting student, from the States, at Hong Kong University, pursuing my MBA degree. While playing a pickup rugby game, I dislocated my shoulder and had to visit the local hospital. Luckily, my mom purchased the StudentSecure package from MultiNational Underwriters [HCC Medical Insurance Services] for me. It really helped me with the costs…being a student, I am pretty broke! From what I understand, the insurance was a very good price too, especially for students. I highly recommend this insurance for students everywhere!" "I am director of the China region for a large trading company. Based out of Hong Kong, I travel constantly and often times, on a days notice. The travel insurance for executives that Multinational Underwriters [HCC Medical Insurance Services] offers is the most innovative and helpful insurance plan I know of. It is convenient and always in place so when I do make my emergency trips, I don’t have to worry so much about small details. Thanks!"